Chittagong 05 January 2012: Western Marine Shipyard has delivered two passenger ships to Karachi Port Trust in Pakistan (KPT) today. The ships were delivered through a function at the Western Marines shipyard in Chittagong. Industry minister Dilip Barua was present as chief guest and High Commissioner of Pakistan H.E. Afrasiab was present as special guest at the function. General Manager of Karachi Port Trust Operations Rear Admiral Azhar Hayat Western Marine Shipyard chairman Saiful Islam and managing director Sakhawat Hossain, local dignitaries, heads of government bodies were also present at the occasion. The passenger ships with a carrying capacity of 215 passengers & 10 crews are 30M long & 6.18M broad. The depth of the vessels is 1.8M each. Western Marine Shipyard was awarded this order upon competing in an international tender, where ship builders of Pakistan, India, Sri Lanka and other nations were also took part. The construction work of these ships was initiated on the October 2010 and they have been constructed at a cost of BDT20 crore. Industry minister Dilip Barua said that Western Marine has always uplifted the image of Bangladesh in the globe and they have proven their quality and productivity once again by delivering these ships to KPT. Pakistan Ambassador Afrasiab was impressed with the ships saying that this will enhance the bilateral relation between Pakistan and Bangladesh. DHAKA, JAN 5: The country’s emerging motorcycle industry could grab a significant portion of the Asian market if provided with proper government policy support, stakeholders said on Thursday. The manufacturers, importers, dealers involved in the motorcycle industry demanded access to finance, energy security and infrastructure development to continue the industry’s impressive growth, which was 25 per cent last year. The stakeholders were speaking at a meeting on “Developing policy guideline for basic motorcycle manufacturing industry in Bangladesh” organised by International Business Forum of Bangladesh (IBFB) in the capital. Md Mojibur Rahman, chairman of Bangladesh Tariff Commission, was present as the chief guest. ABM Khorshed Alam, additional secretary at the Ministry of Industries, Md Shah Alam Khan, member (Customs), National Board of Revenue, and Mahmudul Islam Chowdhury, president of IBFB, were also present. M Kamal Uddin, director of Institute of Appropriate Technology, BUET, presented a keynote paper at the meeting. “The tariff policy needs revision, especially the supplementary duties has to be reduced,” said Md Lokman Hossain, international marketing manager of Walton Automobiles, leading motorcycle manufacturer of Bangladesh. “The bicycle industry gets 15 per cent cash incentives for exports, but we aren’t getting any. We have manpower and technology. We only need government’s support,” Hossain said. The raw material procurement policy and technology transfer mechanism should also be in place to rev up the industry growth, he added. Motorcycle sales each year in the developing countries account for 90 per cent of the world consumption, Kamal Uddin in his paper said. “Honda Motors of Japan dominated the Asian motorcycle industry because of their strong R&D, proper management and innovation,” Kamal said. The government has to formulate technology development and innovation policy and national skill committee to develop skilled manpower for this sector, he added. China is currently leading the motorcycle production in Asia, accounting for 50 per cent of the total production of 17 million units per year. India produces 5 million, Japan 1.5 million and Vietnam 2 million units per year. Bangladesh motorcycle industry is one of the fastest growing industries in the country. Stakeholders are expecting a 25 per cent annual growth in the next five years. The domestic demand is met by imports from Japan, India, Taiwan, China and Pakistan. Kamal said a regulatory body should be formed inside Bangladesh Road Transport Authority (BRTA), with representations from FBCCI, BSTI, NBR and BUET, to coordinate among different bodies in the industry. Bangladesh motor industry has three types of motorcycle suppliers: importers, assemblers and manufacturers. The industry has three divisions: CBU (Completely Build-up Unit), CKD or SKD (Completely or Semi Knocked Down) and manufacturing. Few local enterprises like Walton Automobiles and Runner Automobiles have taken initiatives to manufacture motorcycles locally. Road Master Ltd, Honda and Bajaj are going to set up manufacturing plants soon. DHAKA, JAN 5: Farland Investment Ltd, a UK- based private land and asset investment and management company which is owned by non-resident Bangladeshis (NRBs), is going to commence its first phase commercial rice production in Uganda by March. “We have already started seed testing activities two weeks ago and hope to go for commercial rice cultivation on 400 hectares of land in Uganda, taken on lease, by March,” Md Sirajul Islam Jowardhar, Farland’s managing director, told a press conference at Ruposhi Bangla Hotel in the city on Thursday. As part of the company’s project Phase-1, it signed a joint venture agreement for10,000 hectares of farmland with Kolir Sub Country of Bukedea District in Uganda on October 21, 2011. The land has been acquired on lease for a 49-year term, with a renewal right for another 49 years. The company will broaden their cultivation areas step-by-step enabling it to cultivate the 10,000 hectares of land by 2015, Jowardhar said. “The project will be the largest commercial agriculture project in East Africa. After its implementation, approximately 80,000-90,000 tonnes of rice will be produced a year, of which nearly 43,000 tonnes milled rice with good value addition are to be exported to Bangladesh,” he said. The estimated capital investment for Phase-1 is over US$ 22 million, with a further productive investment of $ 9 million, he said, adding that investment return projected in 4 years is 32 per cent, the company’s top official said. As a foreign investment company, he said, the investment will be guaranteed by the government of Uganda through the protocols of the internationally recognised Multilateral Investment Guarantee Agency. In addition, he said, the project will also create employment opportunities for Bangladeshi skilled farmers, as 1500 Bangladeshis will be employed in the project with settlement rights in Uganda, along with their families as permanent residents. “Uganda is developing rapidly and our workers will be able to benefit from other business opportunities in the country,” Jowardhar said. The company will provide US$ 200 remuneration per month to each worker along with accommodation facility, medical support and education to their family members, Jowardhar said. A deal is likely to be signed here on January 10 between the state-owned Power Development Board (PDB) and the Indian state-owned National Thermal Power Corporation (NTPC) to form a joint venture company for setting up the planned 1,320 MW coal-fired power plant in Bagerthat, reports UNB. 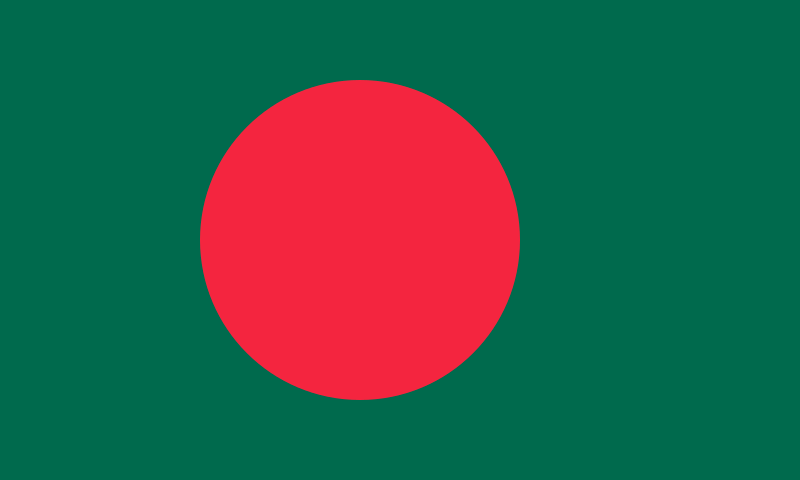 After long negotiations, both the Bangladesh and Indian sides have finally agreed to sign the deal to form a joint venture (JV) company which will be registered with the Registrar of Joint Stock Companies in Dhaka, according to a top official at the Power Division. The joint venture company will be operated and controlled under the Bangladesh law under the Companies Act, said Joint Secretary at the Power Division. The company will be owned by PDB and NTPC on a 50:50 equity basis. But the other aspects of the company like investment of fund, authorised capital, paid-up capital, organograme are still unsettled. A senior official at the PDB said these issues will be settled when the feasibility will be completed. As per an understanding between Bangladesh and India, the NTPC will conduct the feasibility study, while Bangladesh Water Development Board’s research wing – Centre for Environment & Geographic Information Services (CEGIS) – will carry out the environment impact assessment, coal sourcing and coal transportation. On completion of the exercises, the power tariff and such aspects will be settled, said the official. Dhaka and New Delhi decided to set up the 1320 MW coal-fired power plant more than two years ago. But it took two years’ time only to form the Joint Venture Company to move forward with the plan. Power Ministry officials said the real work on the proposed power plant will start on completion of JV formation and its registration in Bangladesh. Dhaka, Jan 4: Bangladesh has stepped ahead in global ranking in creating congenial atmosphere for investment, according to a survey conducted by Japan Bank for International Cooperation (JBIC) for the year 2011. Bangladesh’s position is now the 16th from the 29th. “The main reason the respondent companies chosen Bangladesh as promising is ‘inexpensive source of labour,” read the JBIC’s 23rd annual survey report on overseas business operations. A delegation of the JBIC on Wednesday called on industries minister Dilip Barua and handed over the report. The JBIC also noted that Bangladesh with 150 million populations is chosen as promising because of the future growth potential. China was on top of the list followed by India (2nd), Thailand, Vietnam, Brazil, Indonesia, Russia, the USA, Malaysia, Taiwan, Korea, Mexico, Singapore, the Philippines, Turkey and Australia. Cambodia, Myanmar and Great Britain are behind Bangladesh in the ranking, the report said. The report also identified some disadvantages for investment in Bangladesh. DHAKA, Jan 3 (BSS) – The Executive Committee of the National Economic Council (ECNEC) today approved seven development projects involving Taka 5,068 crore. Of the projects, the major one is the Taka 3,912-crore Second Local Governance Support Project (LGSP-II), which will provide better services to people by strengthening the capacity of union parishads (UPs). The approval was given at a meeting of the ECNEC, held in the NEC Conference room in city’s Sher-e- Bangla Nagar with ECNEC Chairperson and Prime Minister Sheikh Hasina in the chair. “Of the total project cost, Taka 2,995 crore will come from the national exchequer while Taka 2,073 crore as project assistance,” said Planning Division Secretary Bhuiyan Shafiqul Islam while briefing reporters after the meeting. He said the Local Government Division will implement the project by July 2016. Planning Ministry sources said World Bank (WB) would provide Taka 2,073 crore for the LGSP-II project when the rest would come from the national exchequer. He said the project aims at ensuring an efficient, accountable and transparent local government system so people can be provided with need-based and better services. The first phase of the project was successfully completed in July 2006-June 2011 period. During the second phase of the project, the UPs will get equal amount of fund from both the government and the WB, which will also be spent for developing rural communication and hat-bazar infrastructure, water supply and sanitation, education, health and agriculture. Besides, massive training programmes will be arranged for organizational capacity building of the union parishad, involving social services departments of the government. The ECNEC also approved the construction of 19 regional passport offices’ project with Taka 104 crore to make it convenient for the people to have their machine readable passport (MRP) from the nearby passport offices. The committee also approved the construction of the Union Parishad Complex Bhaban (2nd phase) project with a cost of Taka 780 crore. The other projects approved in the meeting are: Construction of Aviation Refueling Facilities at Sylhet Osmani International Airport (Revised) project (Taka 51 crore-GOB); Construction of Liquid Fuel System for Sirajganj 150 MW Peaking Power Plant (Revised) project (Taka 60 crore-GOB); Emergency rehabilitation & Expansion of Urban Areas Power Distribution system Under Rajshahi Zone (Revised) project (Taka 110 crore-GOB) and Construction of connecting road between Buriganga embankment and Mohammadpur Bus Stand under Dhaka City Corporation project (Taka 51 crore-GOB). Ministers, advisers to the Prime Minister, members of the Planning Commission, secretaries and officials concerned were present at the meeting.